Despite this weekend’s freezing NYC temperatures, Lil Wayne brought the heat to Saturday Night Live‘s Studio 8H on Saturday night. 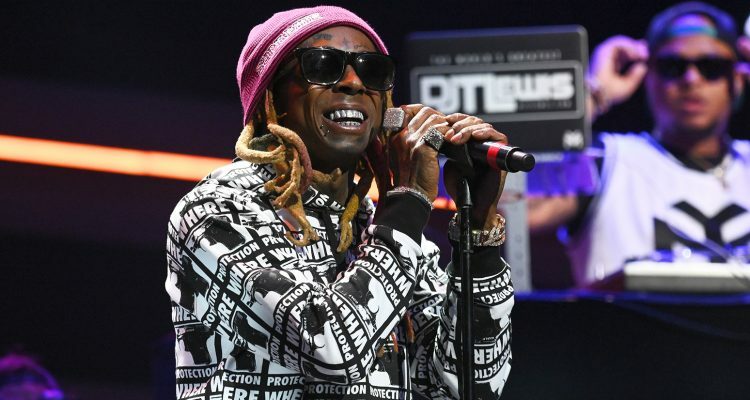 Wayne performed two songs from his newly-released Tha Carter V, “Can’t Be Broken” and “Uproar,” both featuring accompaniments from fellow stars. Lil Wayne brought out Halsey for a riveting rendition of his chart topping “Can’t Be Broken,” and after watching the singer power through the track’s empowering hook, Wayne saluted America’s heroes for their courageousness in light of Veteran’s Day (November 12th). “To all the veterans, thank you,” he said following his performance. For his second song, Swizz Beatz entered the stage for a buoyant performance of “Uproar” which featured an army of dancers to accentuate the rowdiness of the song. Watch both performances below from the Young Money-released album.